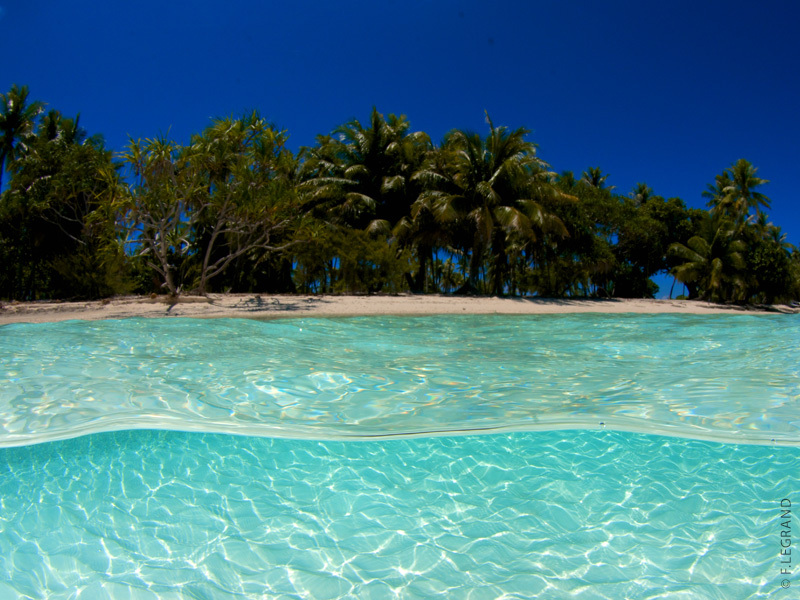 The Tetiaroa atoll is a natural jewel of the South pacific. This beautiful island presents a breathtaking turquoise blue lagoon with lush vegetation – just like a place in our dreams. Benefiting from a wildlife protection and preservation program, Tetiaroa is another sanctuary of biodiversity in the Pacific. During the dives, you will encounter many colorful fish in their coral habitat (triggerfish, parrotfish, surgeonfish…). You will also see big animals that frequent the external slope of the reef: white tip sharks, grey sharks, spotted eagle rays, turtles, dogtooth tuna… The TOPDIVE divecenter is located in the prestigious hotel “The Brando”. This luxury resort offers a new ecological vision of tourism. It combines lavish luxury with environmental friendliness. Our divecenter proposes professional and quality service allowing you to discover the atoll’s incredible dive sites in perfect comfort. 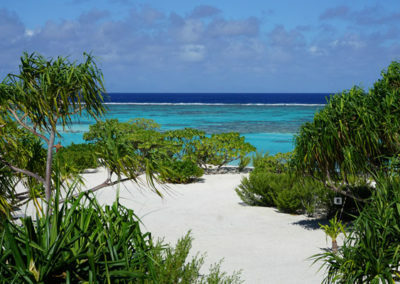 Tetiaroa is the only one atoll in the archipelago of the Windward Islands. Its crystal clear lagoon is encircled by 13 motu. 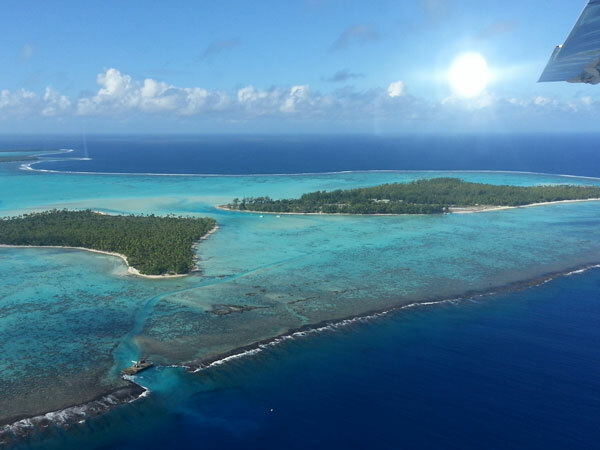 Completely closed, its reef does not provide navigable access to the lagoon from the open sea. These motus offer a little preserved and protected paradise, full of rich and varied marine and wildlife as well as exceptional seabed, making also the subject of studies and observations for oceanographers. This atoll is a real reserve for seabirds, including the Motu Tahuna Iti, also known as the “bird island”, where come to breed frigates, gannets, white-tailed tropic brown boobies and red-footed boobies… In 1965, Marlon Brando acquired the atoll for 99 years after filming “Mutiny on the Bounty”. Tetiaroa, accessible only by boat is still an exceptional place by its majestic beauty and calm, which visitors keep a wonderful memory. Site located around Papeete, next to the main port, near the pass. The site of an old wreck in several pieces. You can see black and pink coral at around 70 feet. Many pelagic fish frequent the area. An exceptionally beautiful dive for its marine fauna. Blacktip sharks, Lemon sharks and Grey sharks. Schools of silver jackfish, triggerfish and a myriad fish species. Recommended for a drift dive. Located on the west coast near our dive centre, it is certainly one of the best spots for novice divers to discover. You’ll find a coral ring, as an ideal introduction to the first dives. 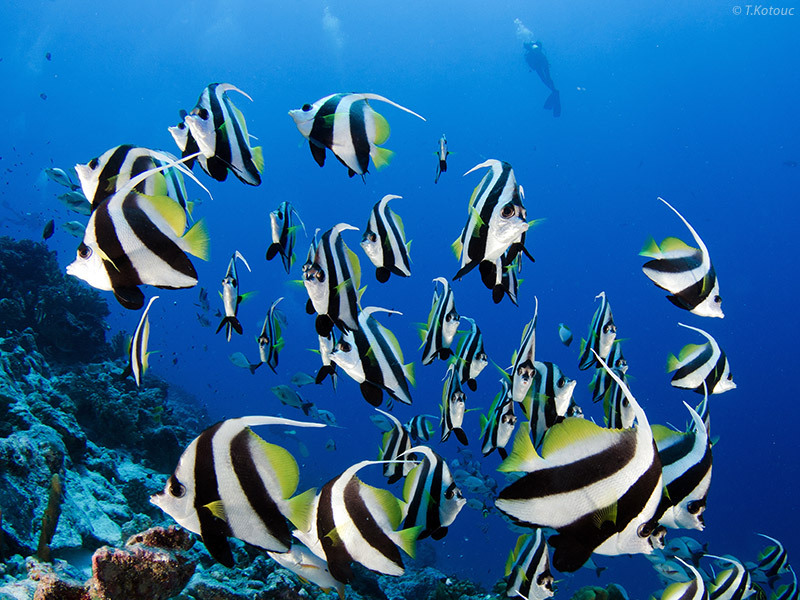 Hundreds of colourful tropical fish frequent the area and “play” with their visitors. The 3 wrecks serve as artificial reefs to this area: a Cessna (16 feet long) and 2 boats. Located on the east coast of Tahiti, the dive site is a beautiful undersea cave at the depth of around 100 feet. A wall starts at around 15 feet where you’ll find different species of fish and crayfish. Considered as one of the more attractive dives on the east coast. “Papa whisky” is the name given to the small artificial island located adjacent to the airport of Faa’a. The breaker one can distinguish on the surface seems to be that of a cliff. It is, in fact, the edge of a vast amphitheatre (230 feet long) created by the collapse of one part of an undersea plateau. The interior of the structure better withstands the force of the surrounding currents. At this point, 2 exploration dive plans are possible; one by way of the southern extremity of the arena and the other one from the northern point. Both options are recommended only to experienced divers. The journey on the South side is a beautiful geographical fault covered with yellow gorgonian coral formations. The north point is also rich in gorgonian coral although there are groups of violet coral. 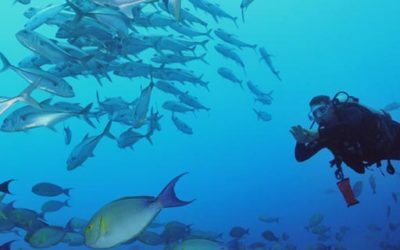 Once in awhile, you may come across some tuna that sometimes follow divers from a distance before disappearing into the blue. The visibility is often excellent from 150-200 feet where the ocean becomes an abrupt wall of cliff. You’ll find that the Gorgonian coral even bigger and dense at this depth. Located on the west coast in the direction of Punaauia, near the Tapuna pass. You find a coral plateau with canyons. There is also coral reef barrier where you may see moray eels, Blacktip and Whitetip sharks as well as other marine species. 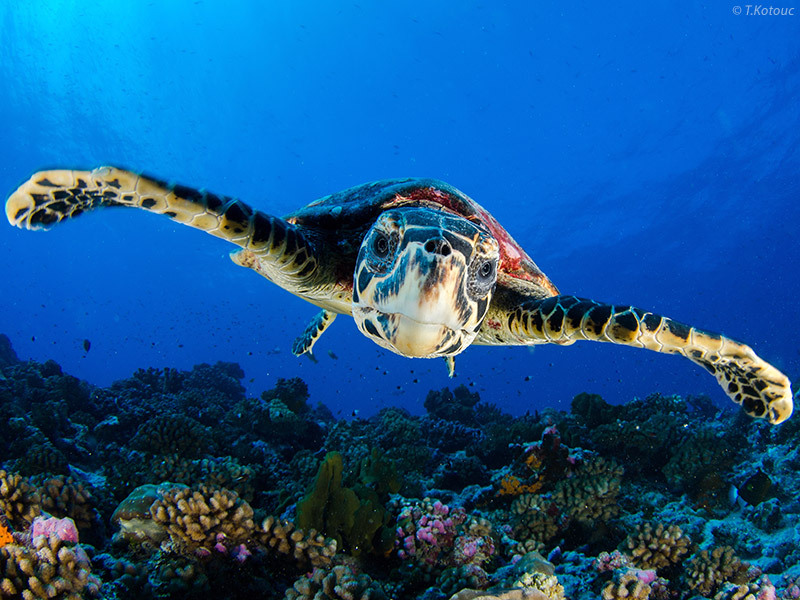 The dive owes its name to the fantastic turtles that you may see. Generally, you’ll see 3-5 very friendly turtles that you will never forget. Around the site, you’ll appreciate the drop-off inhabited by blue coral. The site is named after a spring of fresh water emerging from the depths of the ocean. The source emerges from 15 – 20 feet below the surface. It is easily visible through the column of bubbles of water that escapes. Beyond the source, you can go down to 70 feet. 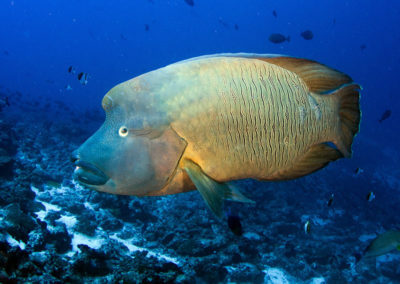 It is quite possible to encounter sharks or at night Humphead Maori wrasses. From both sides of the spring range are beautiful valleys that are parallel to the coast. These valleys are rich in marine life. Many turtles come and « play » with the divers. The beauty of Polynesia in one place! Enjoy the exceptional view of the coral garden, where all species of fish abound. White tip sharks, barracudas, moray eels swim around you. The site offers the opportunity to “bait” sharks. The variety of corals will amaze you. Take the time to explore this area and let the fish amaze you. Site located on the west coast near Paea, it owes its name to a roof covered with fantastic Gorgonian coral. You may encounter Silky sharks taking refuge in the faults. This dive allows you to explore the wrecks of a plane and an old schooner, one of the last relics of the inter-island traffic from past years. The airplane wreck is situated on a sand bar, lying on its right wing. You can even safely explore the wreck by the port located on the fuselage’s left side (less than 50 feet in depth) or through the cockpit. A bit farther, you’ll find the schooner, still considered to be a beautiful wooden wreck. Close to Tiki point, you will find similar marine life except for an occasional turtles. With luck you may see up to 7 during the same dive, and many Emperor Angel fish. The reef break is a bit deeper and we may have some current. Incredible marine flora and fauna ! One of our favourite spots. Many fishes move from one side of the island to the other, passing through this area. As one of the highlights – you will enjoy the huge moray eels quite impressive. A site of beautiful coral with a multitude of reef fish. For most divers, there are frequent meetings with white tips sharks and a group of eagle rays (sometimes more than 40 of them). A great experience, even for experienced divers ! A very special dive. 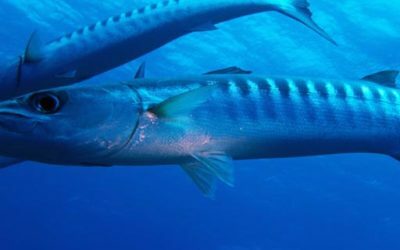 Sometimes, a huge barracuda stays with us during this time. Very good for photos in crystal clear and shallow water. Then on to a white sandy slope where you start the long drift dive (1.5 to 2 miles), following the natural lagoon channel. Just let the current take you and enjoy the dramatic declivity of the coral walls. Look out for the schools of eagle rays and the white tip sharks that stay hidden in coral caves or just lying on the sand. The dive ends is on a coral table surrounded by the coral inhabitants and bottom dwellers. The show begins onboard with the best view of “the most beautiful island in the world”. Once you’ve seen Opunohu bay by boat, you’ll know what we’re taking about. The bay is also a very protected area from the eastern winds and waves. Once in the water, you will discover a very special dive for this island, with great coral walls and canyons. 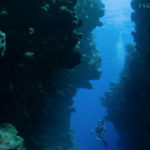 You can do several dives in the same area : one goes deeper to the “small (coral) rose garden”, a specific kind of coral. The other goes along the big wall. The third one finishes near the Sharks’ dining room. In all of the dives, you will encounter sea turtles, sharks and tropical fish and probably a few huge moray eels before crossing from one canyon to the other, staying in the middle of clear water. An exceptional deep blue. Accompanied by grey sharks, you encounter a large coral plateau leading to a sandbank inhabited by a colony of gardener morays. 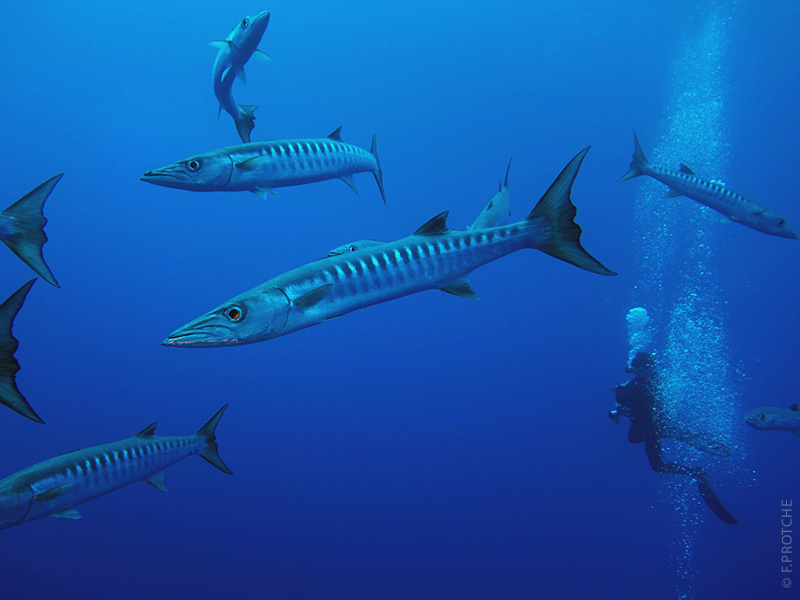 In deep open water, you may sight schools of jacks, Heller’s barracudas, but also turtles and giant barracudas. Anchor or drift dive depending on weather conditions. From a gently sloping drop-off, shallow craters retain more varied fauna. Near the narrow reef canyons, a magnificent spectacle unfolds. Blacktip and lemon sharks galore, as well as amazing marine flora. Several steps will lead you to the middle of the pass. Black tip and white tip sharks can be seen, as well as schools of scads, barracudas, tunas…and sometimes manta rays. The way back, follows a wall with a variety of blue coral which cannot be found anywhere else. Many tropical fish gather along the wall, among others, anemones with their clown fish. 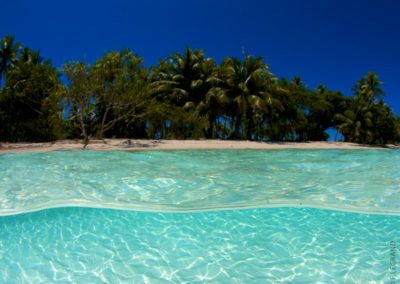 At the bottom, you find a large sand bank where eagle rays and sting rays wander searching for food. Anchor or drift dive depending upon weather conditions. Protected site, ideal for beginners. You are welcomed by dozens of multicoloured fish among beautiful coral heads. You will follow a slope where rose corals grow, they are usually inhabited by various coral fauna. One may very likely meet manta rays there due to the fact that a lot of cleaner fish are waiting for them. At the very southern point of the barrier reef, a breathtaking landscape and an exceptional visibility. 20 meters deep, many coral boulders have shaped into a network of grotto and canyon where many species are hiding. You will then reach a vertiginous wall covered with lovely flora. A visit to this virgin island promises an unforgettable day. You will appreciate the solitude, enjoying the crystal clear waters and its various spots…from beautiful coral gardens to breathtaking undersea walls. From August and November is the Whale migration season. The humpback whales like to swim in these quiet waters and can be easily approached. 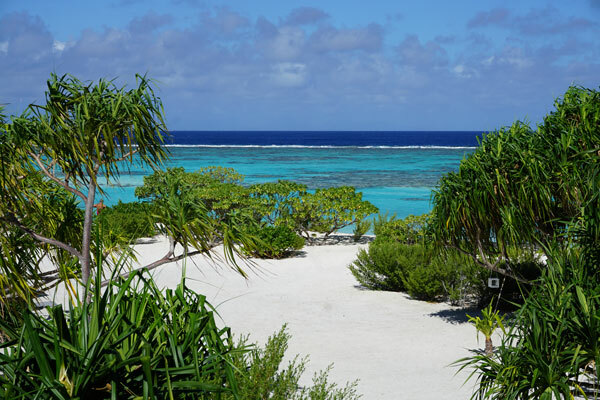 Dive reservations for Tetiaroa are only available at special rates on site with the hotel concierge. After 20 minutes by boat, you arrive at the dive site that is at a depth of 65ft. A maze of canyons opens up the upper part – rich in coral. 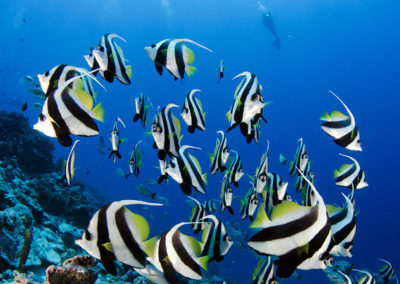 The site hosts many tropical fish that benefit from the crosscurrent of the « false pass ». Referred to as a false pass since there is no opening in the reef. As the dive progresses you become a spectator in this underwater labyrinth that offers a beautiful showcase of wildlife. Spotted eagle rays, white tip sharks, humphead wrasses and barracudas are all part of the scenery. This site is accessible through the incoming current into the pass of Avatoru. Ideally, you would drift from the middle of the pass into a narrow “little pass” between the 2 islets. All along the dive, you encounter several species of sharks like the Blackfin shark (Carcharhinus limbatus), or even Whitetip shark (Triaenoden obesus) seen resting along the small cavities of the wall as well as a multitude of fish species: groupers, moray eels and scorpion fish. Once in awhile, one should scan the surface for a chance sighting of an occasional manta ray with its mouth wide open trawling for plankton. The dive finishes in the calm waters of the lagoon among the fish and beautiful coral. This dive is good for all certified diver levels, especially those having experience in current diving. Maximum depth is 65 feet. This dive requires particularly calm weather conditions, timed with an incoming current for the best visibility. Entry is on the eastern side of Motu Fara, the small islet in the middle of the Avatoru pass. There, you let yourself drift into an undersea valley where you find a wall covered with magnificent coral formations hosting a variety of aquatic life: unicornfish, surgeonfish, paddletail snappers and fusiliers. You may come across an occasional manta or leopard ray swimming counter current. The undersea journey finishes on the sand dunes punctuated by coral heads covered inhabited by scores of little creatures: nudibranches, moray eels, snappers, groupers, kingfish, Whitetip and Blacktip sharks. 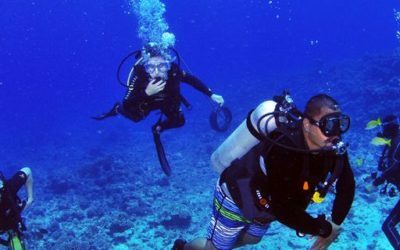 Site is accessible to all dive certifications with a minimum diving experience. Maximum depth is around 60 feet. Located just at the exit of the pass, you’ll also discover anemones with their tenant clown fish, many soft coral, marbled groupers and depending on the season: a Grey shark nursery, Whitetip sharks, rays … a very beautiful marine atmosphere. The dive is highly accessible to all certification levels. The Angle is situated between Tiputa pass, offering a view of the Tiputa pass and at the same time of the external drop-off of the open ocean. Depending on the seasons, there may be sightings of large schools of paddletail snappers and hundreds of bigeyed scads in perpetual motion to keep away from their likely predators like the jacks, napoleon wrasses, dogtooth tuna and sharks. Throughout the dive, lingering in the deep blue may bring you into contact with a school of barracudas, dolphins, or perhaps even a Sailfish. Much closer to the ocean floor, one may spy a dozen resting grey sharks. This dive may most likely encounter current, therefore an experienced certified level is required. Descending into the blue of the Tiputa reef, you’ll be see, coming out of nowhere, scores of marine life. 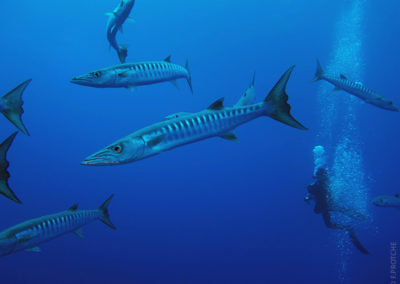 You may encounter barracudas, jackfish, tuna, Grey sharks, Silvertip sharks, Silky sharks and even Bottlenose dolphins. Underwater excitement guaranteed! To thoroughly enjoy this dive, which takes place in deep blue of the reef, a good mastery of buoyancy control is required. This dive has amazing underwater topography: the step, the canyons, and the Motu Nuhi Nuhi. Your diveguide will choose the best divepath that provides the most marine life encounters, assuring your maximum comfort and security. Note that a good mastery of one’s buoyancy is key to enjoying this drift dive. You shall also be given the best technical drift dive recommendations. It is an unforgettable experience in your quest for exciting pelagic encounters. Our advice: Be patient and stay alert since these sightings are usually sudden. Keep your eyes wide open and follow your guide. You may be in for a wonderful surprise! Located on the inside of the Tiputa pass, this site is accessible by way of the incoming current on a drift dive. The canyons are, in fact, faults through the pass. Many fish find refuge in the currents passing through these faults: schools of surgeonfish, whitetip sharks, napoleon wrasses and in the small crevices, the little soldierfish. This undersea landscape provides a temporary refuge to divers from the raging currents and abreast of a major crossing point for many interesting marine life such as manta rays and hammerhead sharks. On the west side of the motu is the Aquarium. This site, shallow and sheltered from currents, is ideal for novice divers, diving training or refresher courses. 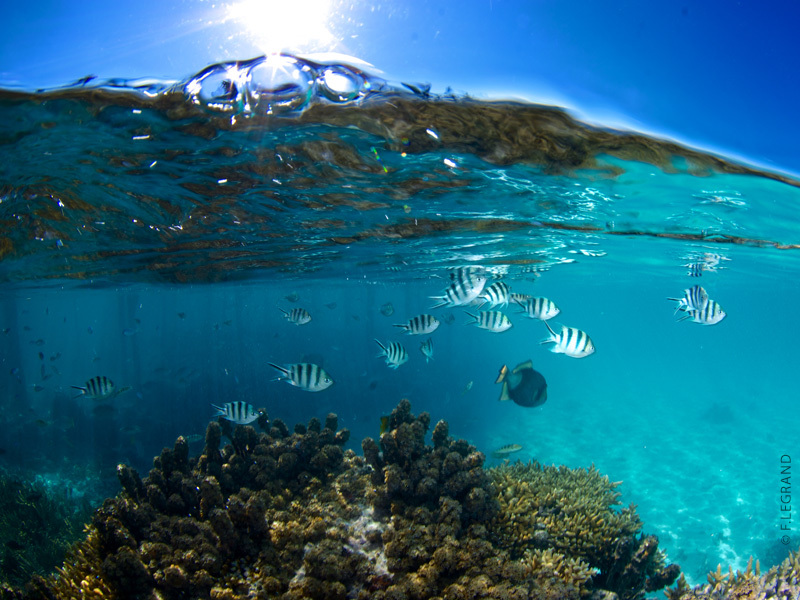 You will discover a beautiful coral garden and a multitude of colorful fish. The east side of the Motu is accessible at the end of drift dive in the Tiputa pass. 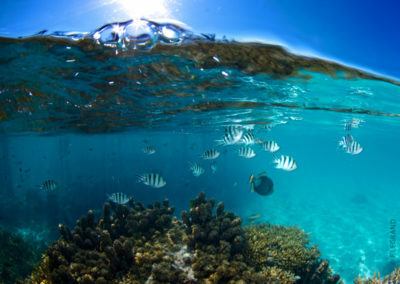 It is a shallow area where the diver, carried by the current, can observes a variety of lagoon fish, and safely finish his dive by skimming over a sandy bottom dotted with coral heads. Depth of 35 – 165 feet. This dive takes place along a steep drop-off of broken by faults and rock overhangs, covered with delicate branches of orange and purple Stylaster soft coral. All these caves are home to many species of reef fish, angelfish, surgeonfish, parrotfish, and perhaps you’ll come face-to-face with a giant grouper… The water is clear, deep blue. As random encounters, you will see scads, tunas, sharks, gray or white tip lagoon sharks. To the left, leaving the pass, we have the superb reef-flat at 65 feet before reaching the sharp drop-off. Channelled reef-flat, variety of corals notably acroporas (table corals) and soft corals. With fewer fish than OHUTU we can enjoy this dive for its habitat and unexpected encounters all throughout the dive. Due to unexpected currents, this dive recommended is particularly for the experienced diver. The widest in Polynesia – about a mile long. World renowned for its biodiversity, it is famous for currents, sometimes strong. A dive in this north pass will be an unforgettable adventure. For reasons of security and visibility, dives are conducted in slack water or with inflowing currents in accord with the tides and with your diving experience. You never know what you might come across. 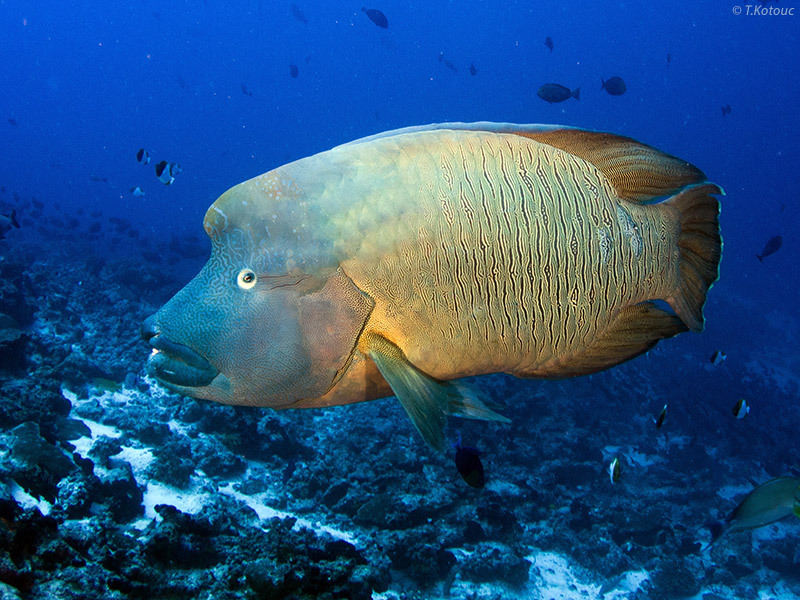 Giant specimens can appear at any moment from beyond the fore-reef. In the pass entrance, you will likely run into the famous Raira (gray reef shark) cruising by the dozen in a haze of fish and color. Be prepared for the Ali Baba canyon where the fish gather to shelter from the currents! This dive is from around a 50-70 foot depth. It requires significant experience with strong currents and divers in full command of their buoyancy and ease of movements. On the right side upon leaving the Garuae pass is the magnificent reef-flat at 40 feet, dipping gently to around 100 feet just before the drop-off wall. The dive will proceed along the wall and end back up on the coral gardens of the reef-flat. As well as exhibiting a profusion of vibrant and healthy coral specimens, the reef is a veritable hatching ground for fish. Along the drop-off, we usually come across grey and lagoon white-tip sharks, tuna, scads and manta rays. This dive is open to divers of all levels of experience. Located inside the lagoon, near the north pass, shallow (down to 50 feet), the dive is ideal for beginners, training or supplementary dives. It is also the dream place for photographers in search of luminosity (white sand) and calm scenes sheltered from the currents. A good proliferation of flora and fauna of the area. You will come across all kinds of sharks. The only one dive in the lagoon of Tikehau. 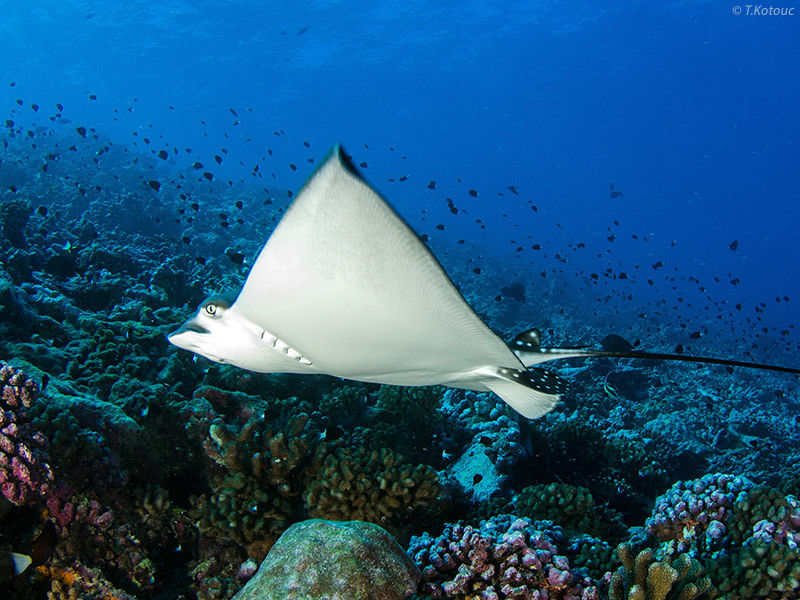 You will encounter manta rays that come to be cleaned up by cleaner wrasses. 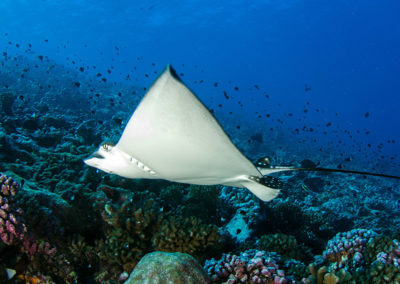 You will contemplate a splendid coral garden at a maximum depth of 15 meters where manta rays gravitate around corals . This dive site offers perfect conditions for every divers from the beginnner to the experienced diver. This dive in magnificent seascapes combining large formations and overhanging corals is the occasion for you to contemplate lion fish, large moray eels and some shoals of barracudas. This dive is adaptable to divers of any level. Around the large coral formations gravitates a multitude of fish (parrots, triggers, groupers, moray and lionfish). Further south, towards the end of the dive there is an explosion of multicoloured corals. Napoleon wrasses are always near and manta rays are frequently seen. You will dive in a vertical break in the reef. The dive begins at 65 feet to join a depth of 165 feet where the submarine fauna abounds. A wall of grey sharks will welcome you at the beginning of the dive. Throughout the maze of holes and crevices a carpet of red, yellow and blue lined snapper, and soldier fish. For the experienced diver, at about 165 feet, an arch connects the two side of the gorge where divers will play with clownfish slithering around in their anemone homes. Absolutely breathtaking ! Open 7 days a week, our team members will be pleased to answer to any inquiery regarding private or regular dive. Our inflated boats are comfortable and adapted for the diving in Tetiaroa. 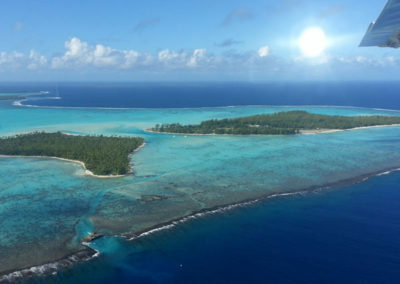 Les plongées sont exclusivement réservées aux client de l’hôtel The Brando.